Okay so I know I have been slow on the blogging but I am trying real hard to catch up. I promise! So many weddings this past month but that is not an excuse shame on me! With the kitchen redo going on, my Mom turning 60 and trying to spend time getting the new website done I have lacked on the blogging. But now that Megan is working with me......MY NEW OFFICE MANAGER....things will be better! So anyhow to the title of this blog. 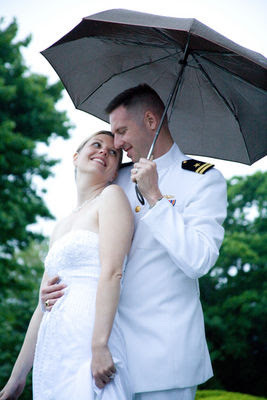 Tara & Dave got married June 3rd at the Branford House at Avery Point. I love it here! the view is spectacular and the house is so intimate. Not to mention the wood work in there is amazing! The sky that day looked like it was going to rain but held off until later in the night. But it did not matter cause Tara had bought water boots and an umbrella so they could take photos outside either way! And guess what....when it started raining Tara comes to me and says can we go out in the rain and they are my favorite photos! To see Tara and Dave's day and more photos of course click here for the slideshow! love the umbrella shots at the end of the slideshow! nice! The umbrella adds a nice touch. Well done!